Dr Celia Pearce is an award-winning game designer, artist, curator, author, teacher, and serial instigator. She currently holds a position as Associate Professor of Game Design at Northeastern University in Boston, is co-founder and Festival Chair of IndieCade, and served as co-curator for XYZ: Alternative Voices in Video Games, the first exhibition to celebrate women game designers. Her games have been featured at Come Out & Play, Different Games, CHI, SIGGRAPH, Incubate, and Boston Festival of Independent Games, where her electronic-quilt based board game eBee, designed in collaboration with Gillian Smith, won an award for most Innovative Tabletop Game in 2016. She is also launch title co-developer for Move38 “Blinks,” an intelligent tile system for tabletop games; the first game on the platform, Fracture, was a finalist at IndieCade 2016. Dr. Pearce has also written a number of papers on game design, emergent social behavior in games, and artgames; her co0authore. 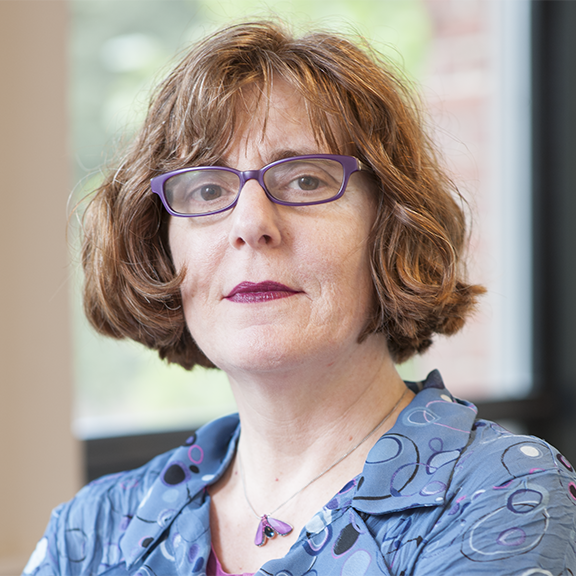 Her books include Communities of Play (MIT Press, 2009), Ethnography and Virtual Worlds (Co-Author; Princeton), Meet Me at the Fair: A World’s Fair Reader (Co-Editor and Contributor, ETC/CMU Press), and IndieCade @ 10 (In Progress, ETC/CMU Press). Who is R. Mutt? A pervasive alternate reality art history game concerning the controversy surrounding the attribution controversy surrounding “Fountain”, the infamous “readymade” allegedly created by Marcel Duchamp from a urinal in 1917. During the residency Dr. Pearce will be present and iterate the current prototype and design for mentoring, feedback and critique to contribute to the project’s ongoing development. Project: Indie: A research project to map and understand innovation drivers in the indie games ecosystem across multiple genres, practices, audiences, and business models, including art games and emerging genres. Blast Theory will serve as a case study for this project. The Analog Holodeck Project: An interdisciplinary collaborative creative practice and research project bringing together larp designers, game designers, and immersive theater practitioners, to explore integrating methods for enhancing player/audience participation and agency in live immersive performative works. The residency aim will be to study Blast Theory’s methods and principles about audience agency and potentially seed a collaborative project.